"If I'm elected I would have sent in the army and started wars with Libya and Egpyt... and our No.1 geopolitical foe, Russia." Both presidential campaigns of Republican Mitt Romney and Democratic President Barack Obama agreed to not engage in negative campaigning on the eleventh anniversary of the September 11th terrorist attacks but Mitt Romney had decided to break that agreement by issuing a statement that falsely accused the White House of capitulating to Islamist protesters in Libya and Egypt because of an unofficial statement made by the Cairo embassy after protesters breached the facilities, killing at least one diplomat. For a little bit of background, protesters in the two African countries were upset about an American film that ridicules the prophet Mohammed. The staff of the Cairo embassy released a statement criticizing the filmmaker and the "continuing efforts by misguided individuals to hurt the religious feelings of Muslims – as we condemn efforts to offend believers of all religions." The administration disavowed the unofficial release and Secretary of State Hillary Clinton made an official response. The Libyan government also condemned the attack and an Egyptian official not authorized to speak stated that the protests were initially allowed because they started peacefully but when the crowd got unruly more troops were called. 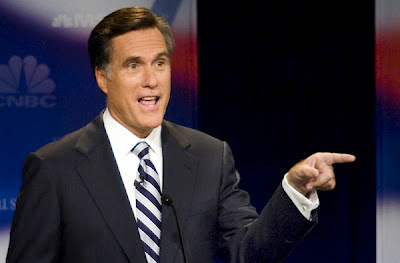 "I'm outraged by the attacks on American diplomatic missions in Libya and Egypt and by the death of an American consulate worker in Benghazi," Romney said in the statement, violating his negative attack ban promise on September 11th. "It's disgraceful that the Obama Administration's first response was not to condemn attacks on our diplomatic missions, but to sympathize with those who waged the attacks." Obama campaign spokesman Ben LaBolt also commented on the statement from the Romney campaign. “We are shocked that, at a time when the United States of America is confronting the tragic death of one of our diplomatic officers in Libya, Governor Romney would choose to launch a political attack,” LaBolt said in a statement. Mitt Romney's comments are grossly irresponsible. His comments, meant to appeal to the anti-Islamic base of the Republican party (you know, those people who believe Obama bows to everyone including the Mayor of Tampa, Florida) but they only place the staff of the consulate and embassy in greater danger. Just consider Romney's comments regarding Russia and how they have damaged American foreign relations abroad. Earlier this week Russian president Vladimir Putin stated that Romney's primary comments about Russia has only bolstered their opposition to America. In a throwback to the Cold War, Romney called Russia America's "No. 1 geopolitical foe." Also sure doesn't help when Romney has made his comments when the embassy message was put out before the attacks and Clinton condemned the attacks before Romney made his claim Obama was rolling over. Saw Stephen Colbert pointed this out last night. Glad someone is holding politicians accountable for their broken promises.